Today I gave a lecture on responsible innovation and responsible language use (via Skype) to biochem and synbio students at the University of Oxford. After the lecture, one student asked whether there was a good go-to book on science and metaphor. I hummed and hawed…. There is of course some stuff, but not a really nice handy text book – I think. I might be wrong! Brown, T. L. (2003). Making truth: Metaphor in science. University of Illinois Press. Nerlich, B. (2015). Metaphors in science and society: The case of climate science and climate scientists. Language and Semiotic Studies 1(2), 1-15. In terms of articles there is of course more. Taylor, C., & Dewsbury, B. M. (2018). On the problem and promise of metaphor use in science and science communication. Journal of Microbiology & Biology Education, 19(1). A classic is: Nelkin, D. (2001). Molecular metaphors: the gene in popular discourse. Nature Reviews Genetics, 2(7), 555. McLeod, C., & Nerlich, B. (2017). Synthetic biology, metaphors and responsibility. Life Sciences, Society and Policy, 13(1), 13. I’d love to hear about other recommendations! 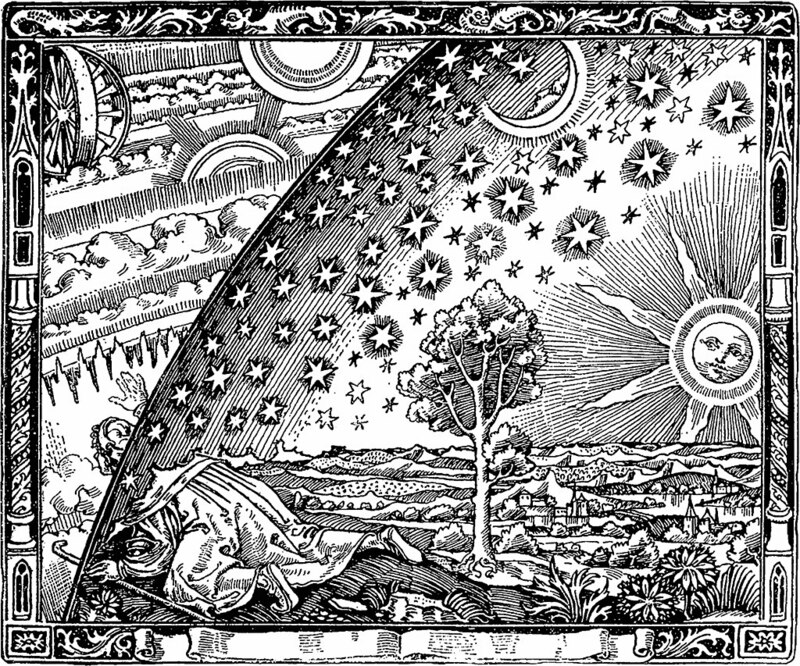 Image: Wikimedia Commons: The Flammarion engraving is a wood engraving by an unknown artist that first appeared in Camille Flammarion‘s L’atmosphère: météorologie populaire (1888). The image depicts a man crawling under the edge of the sky, depicted as if it were a solid hemisphere, to look at the mysterious Empyrean beyond. I can’t think of any book to add to your list on the general topic of science and metaphor. But Sophia Roosth’s book Synthetic: How Life Got Made (Chicago 2017) is a very interesting discussion of snythetic biology from a history and sociology of science perspective. It does not have a specific focus on metaphor (nor does the term appear in the index, alas) but it does cover some of the metaphors in the field. And forthcoming is a book by historian of science Mathias Grote: Membranes to Molecular Machines: Active Matter and the Remaking of Life (Chicago: forthcoming 2019) that provides a good focus on how various machine metaphors have driven research and engineering projects in syn bio. I also talk about metaphors in syn bio in my book The Third Lens (Chicago, 2018), especially pp. 137-141. Perhaps a good overview book on science and metaphor is worth doing?